Colorado’s statewide unemployment rate was 3.8 percent as of August 2016, down from 3.7 percent in August 2015, but still about 1 percent lower than the August 2016 national average of 4.9 percent. Colorado unemployment stats remained the same from July to August, even though 1,300 people became unemployed over the month. From 2015 to 2016, both work hours and wages for workers on nonfarm, private payrolls declined slightly. The average work week decreased from 34.8 to 33.9 hours, and wages dropped from $27 to $26.69 per hour. Despite the state’s overall decline in job growth, Colorado unemployment news shows job growth rates up 3 to 4 percent in the Denver metro area, which employs 55 percent of Colorado’s labor force. The dip in statewide Colorado employment stats over the past year is likely due to the national decline the mining and logging industries have been facing over the past two years. These industries account for a good portion of Colorado’s rural jobs. 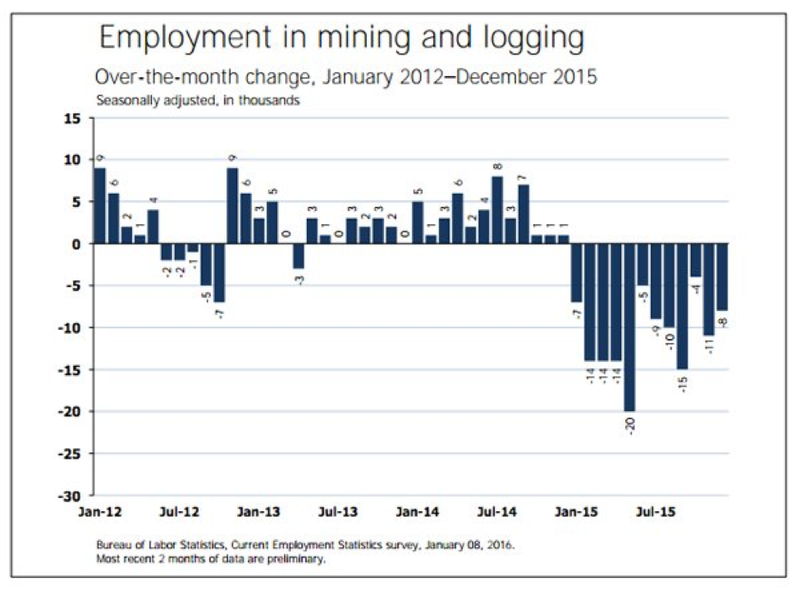 U.S. mining and logging jobs have shown the largest decline this year since 1986. Drive Your Car & Be Your Own Boss. Work When You Want With Uber. While Colorado’s unemployment rate remains higher than the national average, at 3.8 percent statewide compared to the nation’s 4.9 percent, job growth has slowed over the past year. Economists expect that trend to continue until 2018. Colorado’s unemployment rate was at a low 2.9 percent in March 2016, compared to 3.8 percent in August, a sign that the labor market is so tight, some employers are leaving positions vacant instead of hiring unqualified workers. 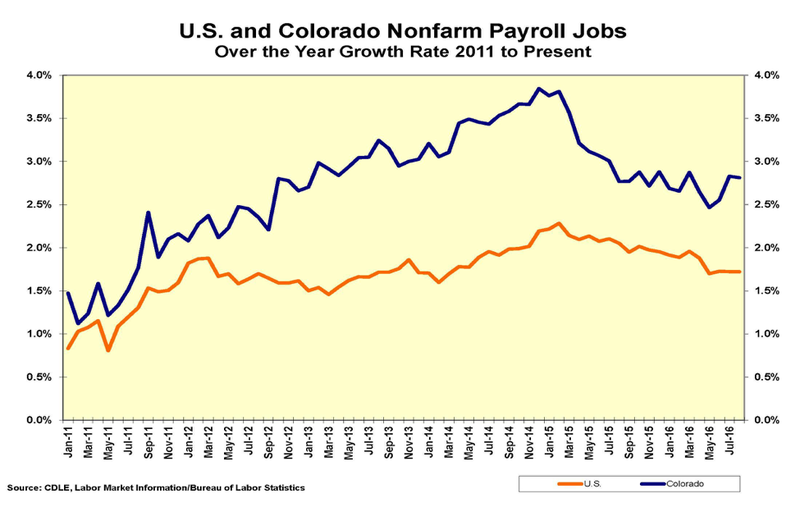 The Colorado Legislative Council reports this trend as, “characteristic of the later stages of an economic expansion,” explaining that the slowing job growth along with low unemployment rates signal full employment. Legislators expect wages to grow as labor becomes harder to find, and points to the continued slow growth in tourism, services, real estate, and construction as indicators of a healthy labor market. Despite Colorado’s oil production rising by one-third, weak global demand for U.S. mined commodities helped cause employment in Colorado’s mining sector to fall a substantial 26.1 percent from 2015 to April 2016. Colorado farm incomes fell by one-third in 2015, and were down another 20 percent by September 2016. Farmers are borrowing heavily and managing to stay current on their loan payments to get through the downfall, but if the current trend of low prices versus a strong dollar drags out, some farmers could be in trouble.